‘The Hotness’ is a way of living life which deems no feat too great. It is one’s drive to succeed and shine against all odds; one’s self-awareness, self-knowing and one’s own belief in self. ‘The Hotness’ lives within all of us, though often times expectations from others and from society stifle ‘The Hotness’, and in turn, stifle a person from living. Above is a direct quote from Joey Talmage, aka Hoody Time. 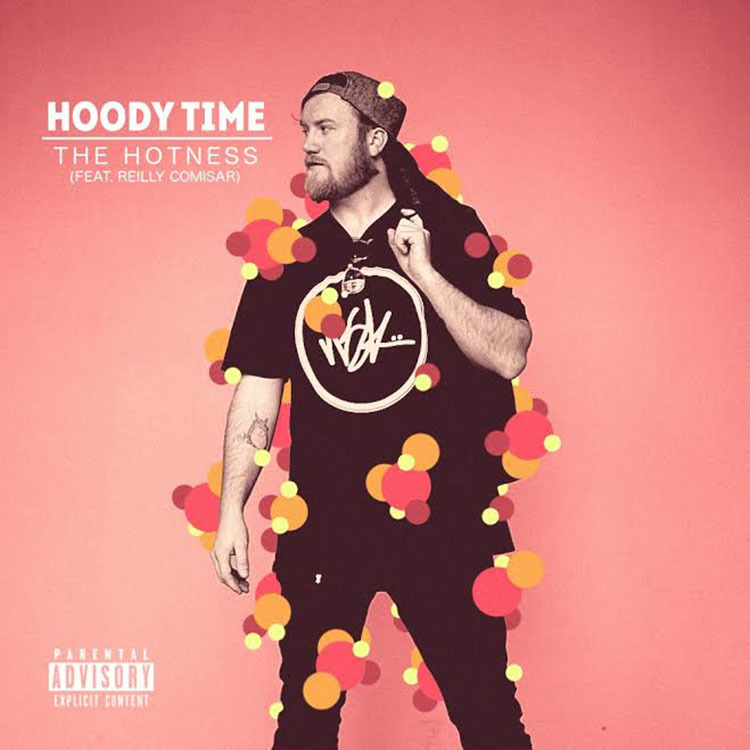 Hoody Time’s first single off his upcoming EP has been released and it is absolutely fantastic. While it may not be EDM or Trap, it can definitely appeal to anyone who is a part of the music scene in general and appreciates those who are up and coming and work hard to get to where they want to be in their lives. Reilly Comisar provides a stunning vocal accompaniment, shining brightly while also perfectly aligning with the lyrical style of Hoody Time. The track is infused with hints of Macklemore in this writer’s opinion and I absolutely love it. The more and more you listen, the more catchy it is; and the more captivated you become by the track. I was always told to follow that standard path; go to school, finish school, get a job. And I followed those blueprints drafted by others for a long time. Thankfully I was able to realize that there was never time to waste on other’s expectations in the first place; it was now or never. The idea for this song, and for the entire EP is to reach out to the dreamers who are told not to dream. To connect with those who want nothing more than to chase that dream. To let as many dreamers as possible know that we all have ‘The Hotness’, and that no matter the challenges we face, it is never too late to make your own destiny. ‘The Hotness’ is a rare virus these days, and it’s never too late to unleash it. Let it spread. I highly encourage you to check out this single and if you like it, help support up and coming artists like Hoody Time by purchasing the track! I am seriously looking forward to hearing more about the rest of this EP! The Hotness is available on all major music platforms, so be sure to grab your copy now!! !